Mon., 29 Jul. - Tue., 6 Aug.
See all 308 properties in Lambert-St. Louis Intl. Located in Airport Township, this hotel is within 6 mi (10 km) of Blanche M. Touhill Performing Arts Center, Westport Plaza, and St. Louis Mercantile Library. Hollywood Casino Amphitheatre and St. Louis Car Museum are also within 9 mi (15 km). Lambert Main Terminal Station is 9 minutes by foot and Lambert East Terminal Station is 30 minutes. 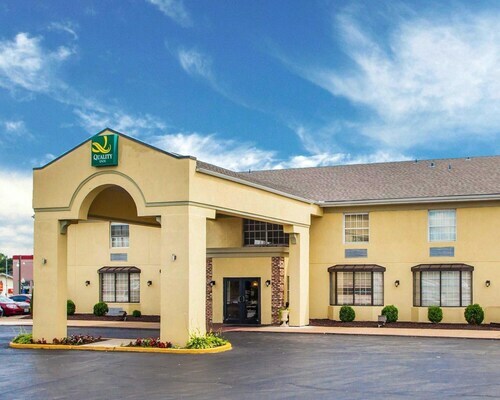 Located near the airport, this family-friendly hotel is within 6 mi (10 km) of St. Louis Car Museum, Blanche M. Touhill Performing Arts Center, and St. Louis Mercantile Library. Westport Plaza and Hollywood Casino Amphitheatre are also within 9 mi (15 km). Lambert Main Terminal Station is 20 minutes by foot. Located in Airport Township, this hotel is within 6 mi (10 km) of Blanche M. Touhill Performing Arts Center, St. Louis Mercantile Library, and St. Louis Car Museum. Westport Plaza and Hollywood Casino Amphitheatre are also within 9 mi (15 km). Lambert Main Terminal Station is 22 minutes by foot and Lambert East Terminal Station is 30 minutes. 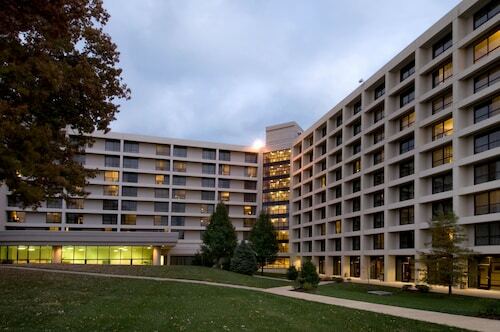 Located in Airport Township, this hotel is within 6 mi (10 km) of Blanche M. Touhill Performing Arts Center, St. Louis Mercantile Library, and St. Louis Car Museum. Westport Plaza and Hollywood Casino Amphitheatre are also within 9 mi (15 km). Lambert Main Terminal Station is 16 minutes by foot. Question : How much is a plane ticket to Saint Louis (STL) from Winnipeg (YWG)? Answer : Cost can range from $306 to $655, prices for YWG to STL fluctuate less than the majority of routes from Canada. However, usually the sooner you book, the better price you get. Answer : Tickets are currently being sold for $311, which is 24% below the average price. As of Apr 15th, the cheapest day to fly from Winnipeg to Saint Louis is Apr 27th. Question : What is the cheapest airline flying from Winnipeg to Saint Louis? Answer : Delta Air Lines strives to keep prices down for their passengers over the next three months. Bookings are being made at just $306, which is a steal when compared to the more expensive bookings of $655. Question : How long do most people stay in Saint Louis? Answer : The cheapest day to fly from Winnipeg to Saint Louis is on Wednesday. So, if you want to save a bit of cash on your next trip look for flights on Wednesday.